EA as a whole may have been having a rough time of it lately, but EA Sports are doing just fine, as evidenced by the number of online matches the brand has played host to in 2009. 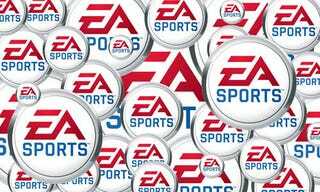 Speaking with the Nightly Business Report, EA CEO John Riccitiello revealed that in this calendar year alone, "we've hosted over a billion online games, a billion online games. That's a staggering number." Damn straight that's a staggering number.